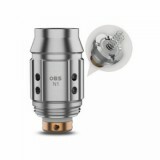 OBS Cube mini Replacement Coil is designed especially for OBS Cube Mini Tank and OBS Cube Mini Starter Kit. 2 optional resistance are available for you to choose—0.6ohm Mesh Coil and N1 1.2ohm Coil, which will improve your vaping experience. OBS Cube mini Replacement Coil is designed especially for OBS Cube Mini Starter Kit. 2 optional resistances are available for you to choose—0.6ohm Mesh Coil and N1 1.2ohm Coil, which will improve your vaping experience. 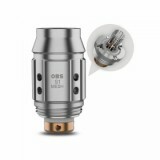 Come and get OBS Cube mini Replacement Coil for you OBS Cube Mini vaping. • OBS Cube Mini Starter Kit is also available in BuyBest.